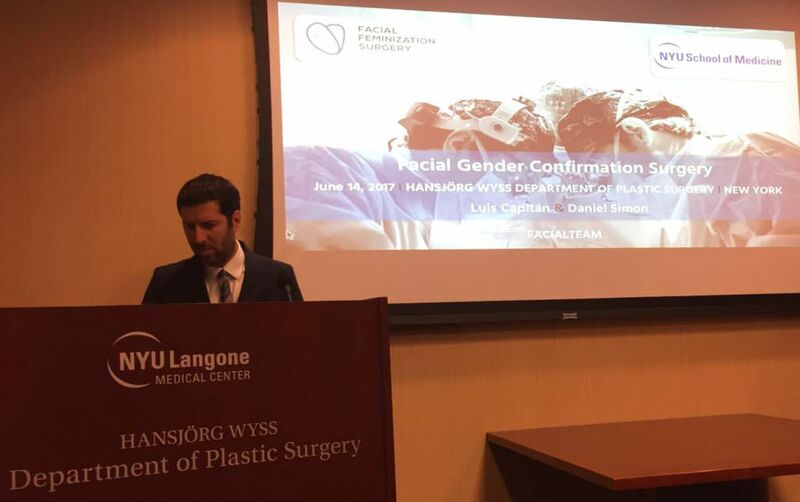 FACIALTEAM directors, FFS surgeons Dr. Daniel Simon and Dr. Luis Capitán, and Dr. Fermín Capitán-Cañadas, our Director of Research & Development, were honored to be invited as guest speakers for the medical residents of NYU Langone Center´s Transgender Surgery Services. New York University faculty surgeons, Prof. Eduardo Rodriguez (Chair of Dept. 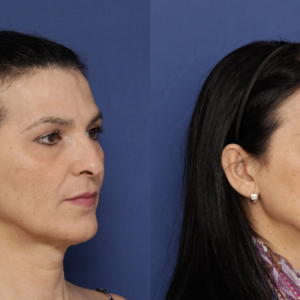 Plastic Surgery) and Dr Rachel Bluebond-Langder, welcomed the founders of FACIALTEAM in June 2017 to lecture on their vast experience as FFS surgeons as well as specific innovations in the field of facial gender confirmation surgery. Dr. Rodriguez is the leading pioneer in facial transplant surgery. In 2015, he lead a team of 100 experts in the first transplant of an ENTIRE face, a 26-hour procedure performed at NYU Langone Medical Center. 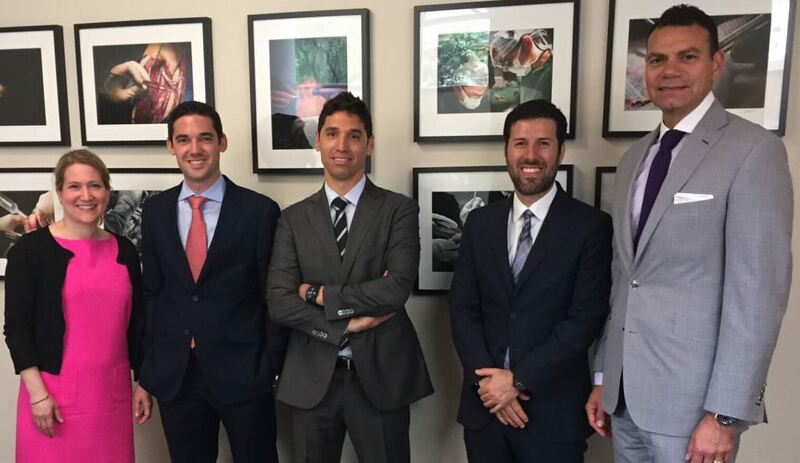 FACIALTEAM and the leading medical experts at NYU Langone share common ground in their philosophy. Both teams of FFS surgeons agree not only on employing the most advanced techniques for transgender patients, but also on the importance of tailoring treatments adequately to meet the realistic expectations of each individual person. FACIALTEAM surgeons are hyper-specialized in specific areas, be it hair transplants, rhinoplasties or bone reconstruction, for example. Each procedure requires a highly trained professional in the technique. It´s requires a completely different process to graft hairs than to safely and successfully remodel the forehead bones. 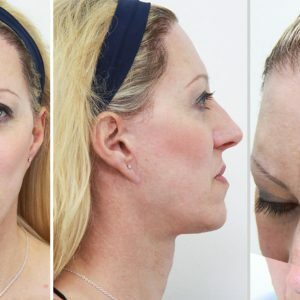 This is partly why FACIALTEAM is just that: a team of FFS Surgeons. Their passionate desire to advance the field and their belief in the team concept has lead them to impart their experience in important centers of training like NYU. 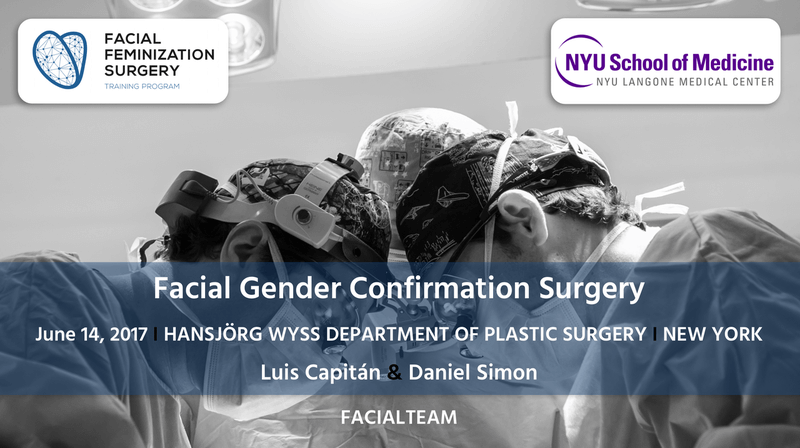 Langone Center´s gender unit also highlights the importance of a multi-disciplinary approach similar to FACIALTEAM. Their services benefit from the integrated expertise of plastic and reconstructive surgeons, urologists, psychiatrists, pediatricians and reproductive endocrinologists with experience in transgender and gender diverse healthcare. Professionals of both centers are active members in good standing of the World Professional Association for Transgender Health (WPATH) and adhere to the current standards of care guidelines for transgender patients. Dr. Rachel Bluebond formerly collaborated with FACIALTEAM directors Dr. Capitán and Dr. Simon on a protocol for inclusion of Facial Feminization Surgery in the 8th version of WPATH´s Standards of Care (SOC8), titled “Review of the Literature and Recommendations for Version 8 of WPATH Standards of Care.” (Authors: Jens U. Berli, Luis Capitán, Daniel Simon, Rachel Bluebond-Langner, Eric Plemons, Shane D. Morrison. International Journal of Transgenderism Apr 2017).